Cat Value £8 each (Murrays 2017). Very Good: Clean back and front, may have dirty and softened edges and rounded corners. No creases. Excellent: Clean back and front, including edges, sharp edges and sharp corners. Cat Value £14 each (Murrays 2017). Mint: Exactly as issued. Good: Soiled on back or front. Blemished edges, rounded corners, and one crease. Very Good: Clean back and front, may have dirty and softened edges and rounded corners. Actresses (brown & green). 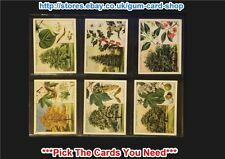 set of 30 cards isued overseas between 1905 & 1910. W.D & H.O. WILLS "1924 RAILWAY ENGINES". (COMPLETE SET OF 50 BUT MISSING NO’S 1 & 12). GOOD CONDITION. Practical Wireless. 12 large cards (series of 70) issued in Australia in 1923. nos 37, 38, 39, 41, 42, 43 & 45 to 50. Romance of the Heavens. 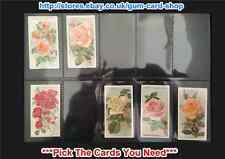 set of 50 cards issued in August 1928. very good condition. Set 25 large cards of Old London issued by Wills in 1929. Very Good: Clean back and front, may have dirty and softened edges and rounded corners. No creases. Cat Value £95 (Murrays 2017). Excellent: Clean back and front, including edges, sharp edges and sharp corners. Nice set of Cathedrals issued by Wills in 1933 large cards 25/25. Cat Value £125 (Murrays 2017). Very Good: Clean back and front, may have dirty and softened edges and rounded corners. No creases. Excellent: Clean back and front, including edges, sharp edges and sharp corners. 4 cards (un-numbered series of 100 - brownish card) issued in 1897. ref book nos 39 to 42. Racehorses & Jockeys 1938. set of 40 large cards issued in February 1939. very good condition. Cat Value £6.50 each (Murrays 2017). Good: Soiled on back or front. Blemished edges, rounded corners, and one crease. Very Good: Clean back and front, may have dirty and softened edges and rounded corners. They are Radio Celbrities A Series and Radio Celebrities 2nd series Each set consists of 50 cards showing radio celebrities from that period. Cards supplied loose as shown. Cat Value £65 (Murrays 2017). Very Good: Clean back and front, may have dirty and softened edges and rounded corners. No creases. Excellent: Clean back and front, including edges, sharp edges and sharp corners. Wills Locomotives And Rolling Stock Cigarette Cards, issued 1901/02 eleven in total, seven with itc clause and four without clause on rear, please see photos for condition, postage to Uk only. , THEY ARE TITLED - PROVERBS, UP TO DATE -- --, THERE ARE NORMALLY 25 IN THIS SET, THE 1 MISSING CARD IS NUMBER - 3. Cat Value £75 (Murrays 2017). Very Good: Clean back and front, may have dirty and softened edges and rounded corners. No creases. Excellent: Clean back and front, including edges, sharp edges and sharp corners. 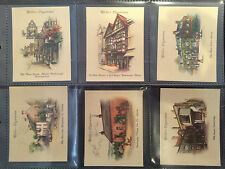 Set 50 unissued cards Life in The Hedgerow by Wills. Very Good: Clean back and front, may have dirty and softened edges and rounded corners. No creases. Excellent: Clean back and front, including edges, sharp edges and sharp corners. 2 Rare Wills Cards Nos 7, & 13, from the Soldiers of the world Set, in VG Condition. 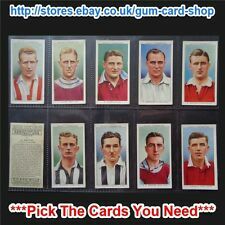 PLAYERS cigarette cards, full set. "WILD FLOWERS." WILLs Cigarette Cards, "WILD FLOWERS". full set of 50 cards. The scan of 20 cards is representative of the set as a whole. The cards are from arange of dates prior to the second world war and cover all manner of subjects. There are a little over 650 cards in total, I believe there are no duplicates in the lot. The condition is varied. Old Sundials. 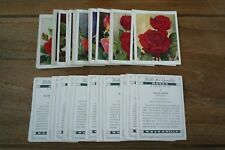 set of 25 large cards issued in March 1928. very good condition. 4 cards (un-numbered series of 100 - brownish card) issued in 1897. ref book nos 43 to 46.
, THERE ARE 50 IN THIS FULL SET, WHICH ARE TITLED -- FLOWER CULTURE IN POTS -- ALSO INCLUDED ARE 21 SPARE CARDS FROM THIS SERIES. W.D. & H.O. WILLS. COMPLETE ORIGINAL SET FROM 1901. SPORTS OF ALL NATIONS. Sports of All Nations. Wills cigarette cards full set 50 Railway Steam Engines.1924. Framed. Very Nice. 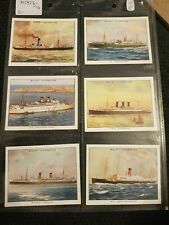 Wills cigarette cards full set 50 Railway Steam Engines.1924. Framed. Very Nice.. Condition is Used. Professionally framed by Robbins of Leicester. THESE CARDS ARE NOT SUITABLE FOR COLLECTORS BUT ARE MY UNWANTED CARDS. THERE ARE NO OGDENS IN THIS LOT. Set 25 large cards of Old Sundials issued by Wills in 1928. Cat Value £75 (Murrays 2017). Very Good: Clean back and front, may have dirty and softened edges and rounded corners. No creases. Excellent: Clean back and front, including edges, sharp edges and sharp corners. A full set of 50 cards issued by Will's Cigarettes in 1912 titled "Musical Celebrities" and featuring famous classical composers and artists. Cigarette cards. Wills. Builders of the Empire 1898. 5 Cards. 1,6, 12, 16, 50. 5 Cards in good condition for their age. Cat Value £40. Player's Characters from Dickens, 24 of 25 cards. Two have creases, Mr Chadbend badly. Player's Polar Exploration, complete (25) card set. Good condition. Roses set. 48 cards, two missing. WELL OVER 1000 CARDS IN A "FAIR CONDITION" A FEW EXTRAS ADDED IN CASE A POORER CARD HAS SLIPPED THROUGH.THERE MAY BE SLIGHT DUPLICATION. MAINLY WILLS, PLAYERS BUT NO OGDENS. Complete set of 48 cards. Wills - Roses Cards From 1936! (Large) - VGC! Pick & Choose The Cards You Need! Players 50 Animals of the Countryside 1939 in a Double Sided Glazed Frame.